Welcome to Specialty Slab Wood! It is our great pleasure to help you find the piece of slab wood that you have been searching for. Whether you are a hobbyist, a fine furniture maker, a home builder or a retailer, you have come to the right place to find beautiful wood slabs to suit your needs. We at Specialty Slab Wood take great pride in our product and will do what we can to help you achieve your slab wood goal. We have a great variety of hardwood slabs for sale, domestic slabs, table top slabs, furniture slab wood, mantel slabs and many other hardwood products. All our hardwood slabs and products are locally sourced and sawn. View our gallery to get an idea of our slabs and projects by local artists using our sustainably sourced hardwood. Then get in touch so we can help you start your project. Specialty Slab Wood is a family-run operation based between the Mississippi River bluffs in Dubuque, IA. Our beautiful specialty products are sustainably harvested from the upper Midwest – including from our family owned land in Wisconsin, Illinois and Missouri – known for its quality Black Walnut and other hardwoods. Much of the land has been managed with a focus on improving the health of the forest and the wildlife habitat as well as increasing biodiversity. The focus of Specialty Slab Wood is to offer unique specialty slabs, mantels and other wood products while sustainably conserving and managing the land. 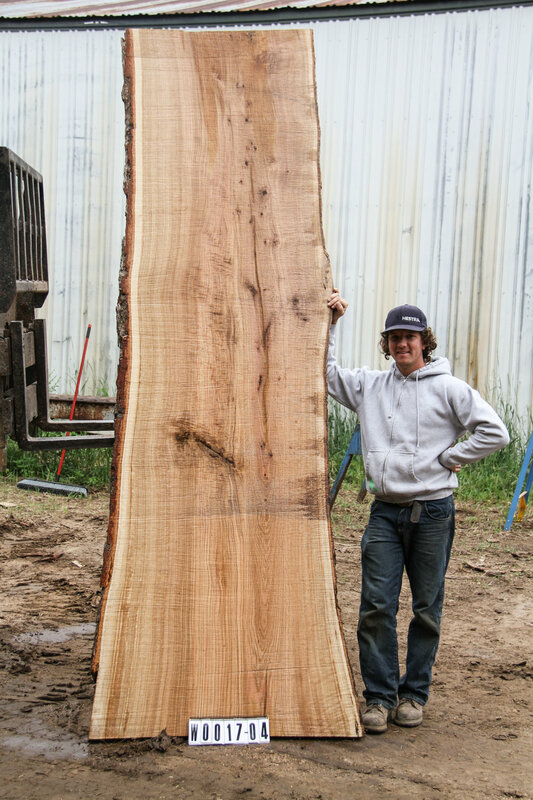 ARe you starting a slab wood project? Give us a shout and we will answer anything you can throw our way. At Specialty Slab Wood we use sustainable harvesting methods to improve the health of the forest. By using these methods we are able to offer quality wood slabs, mantels and other wood products while enriching the wildlife habitat and biodiversity of the land. By implementing practices that improve the health of the forest and conserve wildlife, we are able to cut a wide variety of different tree species rather than focusing solely on the most genetically strong trees which would diminish the long term health of the forest ecosystem. Also, by cutting a variety of species in order to improve the health of the forest, we are able to offer you, our customer, slabs with a wider range of shape and size. When a tree is harvested, the remaining under story is given new light and space allowing a large number of new species to grow strong and beautiful. We have a Wildlife Biologist and Forestry specialist on staff to guide us in our harvesting. We take great pride in enhancing the forests with which we work to better sustain the ecosystems and habitat of the natural world. The wood we work with at Specialty Slab Wood has been chosen based on the desired beauty of the final product and the effect on the land once removed. We offer a wide selection of wood species and a variety of slabs in different shapes and sizes. Trees are cut and sawn on-site. Our relatively small operation allows quality care of each and every tree that comes through the saw mill. Most of our quality cutting is done with an Alaska Mill or a Wood-mizer, and our professional Sawyer, Al, has over 30 years experience. After the logs are cut into slabs or lumber, we photo and label each. The slabs are then stickered (1″ stickers spaced 16″ apart) to ensure proper drying, sealed (Anchor Seal is used to diminish end split) and placed within our enclosed facility for quality air-drying. The process of air drying our wood helps eliminate unwanted checking and end-splitting allowing the wood to dry naturally. Kiln drying is also available and we are happy to accommodate any requests on our Special Request page or by phone. Specialty Slab Wood is here to help make every project a success.